Jeune Premier schoolbag for toddler - It bag Mini Bow - Jeune Premier This beautiful pink Jeune Premier toddler schoolbag It bag Mini with big pink bow is a real must have for little girls! 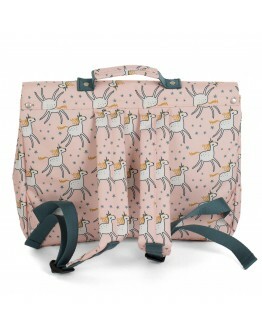 This satchel of Jeune Premier is the most beautiful and cute satchel for kindergarten. 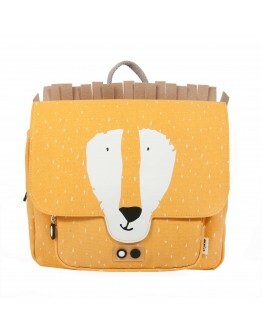 Your daughter will be the star of her class for sure with this Jeune Premier schoolbag! The Jeune Premier toddler schoolbag is made of high quality and has the perfect size and format for your dearest nursery! It is a p..
JEUNE PREMIER Jeune Premier schoolbag for toddler - It bag Mini Gnomes - Jeune Premier This beautiful Jeune Premier toddler schoolbag It bag Mini gnomes is a real must have for cool boys and girls! 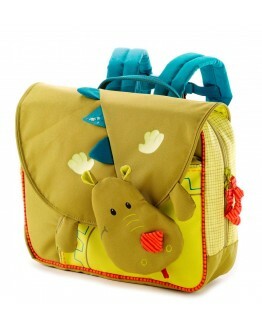 This satchel of Jeune Premier is the most beautiful and cute satchel for kindergarten. 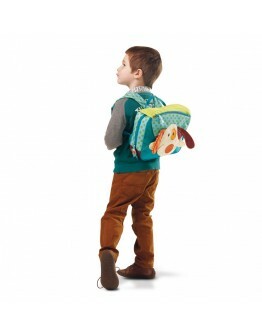 Your son or daughter will be the star of his class for sure with this Jeune Premier schoolbag! The Jeune Premier toddler schoolbag is made of high quality and has the perfect size and format for your deare..
JEUNE PREMIER Jeune Premier schoolbag for toddler - It bag Mini Posh Parrots - Jeune PremierThis beautiful Jeune Premier toddler schoolbag It bag Mini with little Posh Parrots is a real must have for little girls! 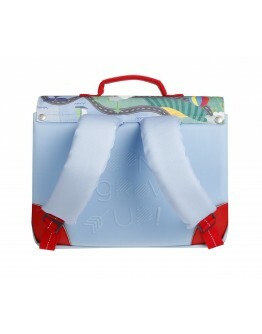 This satchel of Jeune Premier is the most beautiful and cute satchel for kindergarten. 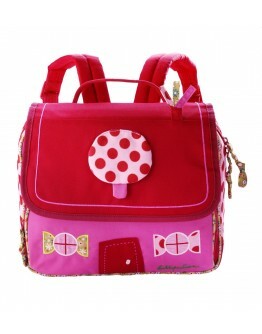 Your daughter will be the star of her class for sure with this Jeune Premier schoolbag! The Jeune Premier toddler schoolbag is made of high quality and has the perfect size and format for you..
JEUNE PREMIER Jeune Premier schoolbag for toddler - It bag Mini Roadmap - Jeune Premier This beautiful Jeune Premier toddler schoolbag It bag Mini roadmap is a real must have for cool boys and girls! 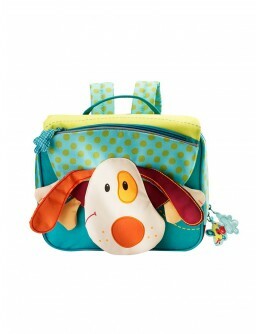 This satchel of Jeune Premier is the most beautiful and cute satchel for kindergarten. 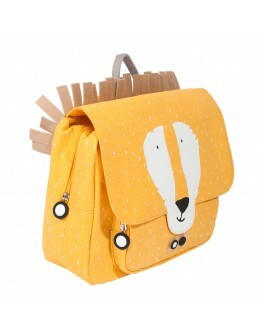 Your son or daughter will be the star of his class for sure with this Jeune Premier schoolbag! The Jeune Premier toddler schoolbag is made of high quality and has the perfect size and format for your deare..
JEUNE PREMIERJeune Premier schoolbag for toddler - It bag Mini Seahorse - Jeune PremierThis beautiful Jeune Premier toddler schoolbag It bag Mini with little seahorses and label star is a real must have for little girls! 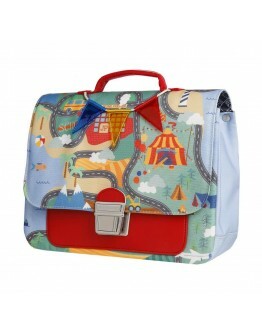 This satchel of Jeune Premier is the most beautiful and cute satchel for kindergarten. 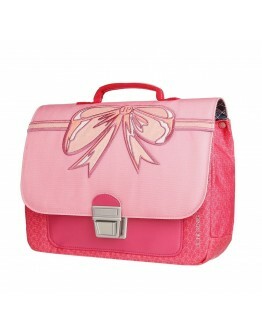 Your daughter will be the star of her class for sure with this Jeune Premier schoolbag! 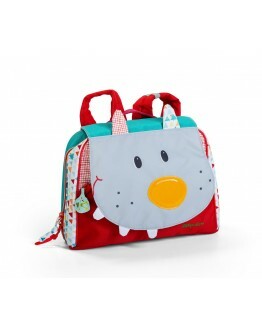 The Jeune Premier toddler schoolbag is made of high quality and has the perfect size and format f..
LilliputiensLilliputiens Jef schoolbag A5Lilliputiens Jef schoolbag A5. To go to school you can count on your faithful friend Jef! 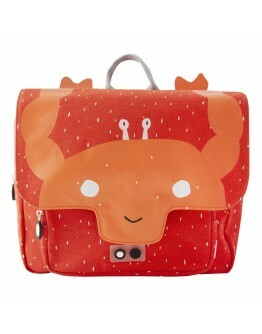 He has adjustable shoulder straps, a handle and a large compartment to make easy your books, notebooks and pencils.All bags and school bags from Lilliputiens are water resistant. Starting from + 2y Size 22 x 26 x 6 cm Material 100% polyester Machine washable 30 ° (delicate cycle) LOOKING FOR THIS LILLIPUTIENS JEF SCHOOLBAG OR ORIGINAL TOYS - EDUCATIVE TOYS - TOYS ..
LilliputiensLilliputiens Liz school bag A5Lilliputiens Liz school bag A5. The indispensable accessory for young girls on the way to wisdom. 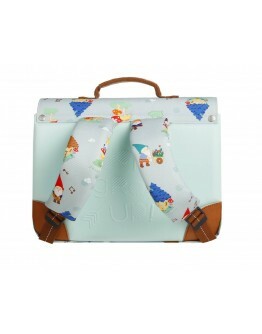 The little elf Liz offers her cottage as bag.Carry it elegantly on the back or on the hand; with slices of bread, a water bottle and the thousand and one other things that modern schoolgirls need.All bags and school bags from Lilliputiens are water resistant. Starting from + 2y Size 22 x 26 7 cm Material 100% polyester Machine washable 30 ° (delicate cycle) ..
LilliputiensLilliputiens school bag Louise A5Lilliputiens school bag Louise A5 To go to school, you can count on your faithful girlfriend Louise!This vertical school bag has adjustable shoulder straps, a chest strap, a hand grip, a large compartment and the ability to record details of the owner. In addition, he has also several bags, one with a zipper in the front and a small window in the form of a butterfly to put your snack into! All bags and school bags from Lilliputiens are wa..
LilliputiensLilliputiens schoolbag Arnold A5Lilliputiens schoolbag Arnold A5. Arnold the hippo is the ideal companion for the "big ones" on the way to kindergarten. The sympathetic, ergonomic and practical book-bag has multiple pockets and a transparent cover for the name or photo of the young bartender. If good pirate resists Arnold Merry all splash lots of rain, milk or chocolate. 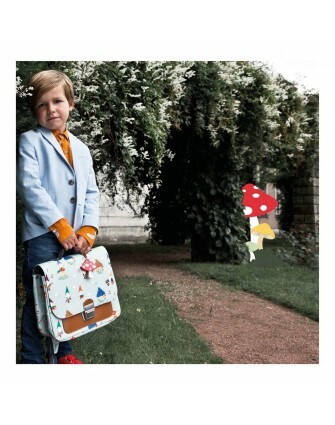 He is, after all, both inside and outside along completely waterproof!All bags and school bags from Lilliputiens a..
LilliputiensLilliputiens schoolbag Colette A5Your little satchel Lilliputiens Colette on the circus will accompany you everywhere, at school or elsewhere. 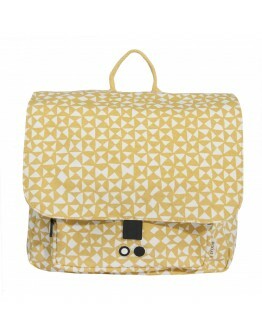 It has adjustable straps, a handle and a large compartment where you can store your books, notebooks and pencils. When you open the flap you will discover the acrobatics of your boyfriends who have fun under the circus tent. 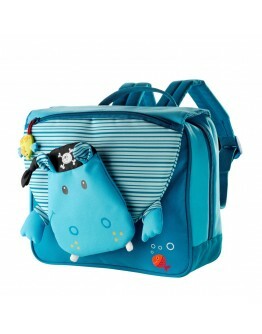 The schoolbag also contains a storage box in front that is closing using a zipper.All bags and school bags from Lillip.. 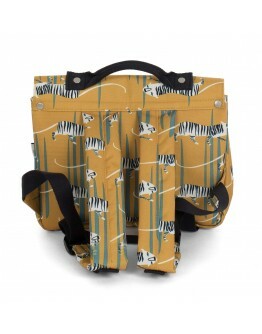 Handsome ochre schoolbag with fun tiger print.Has adjustable back belts, one large box inside and one box in front. 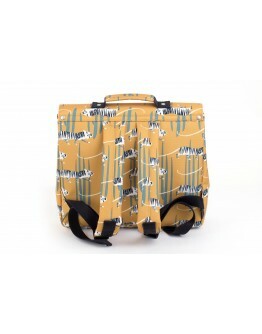 Rain-resistant canvas and made from recycled PET bottles, perfect for the environment! 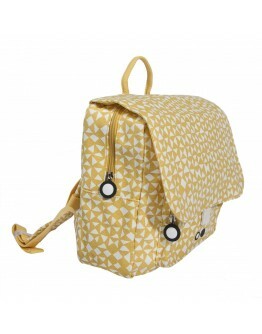 Ideal to use as schoolbag for your big student. Dimensions 37 x 28 x 9 cmMaterial recycled PET bottles .. 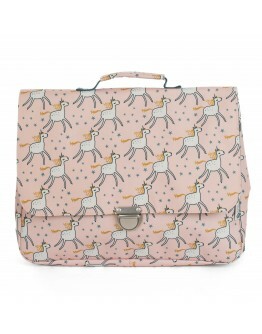 Handsome pink schoolbag with fun unicorn print.Has adjustable back belts, one large box inside and one box in front. 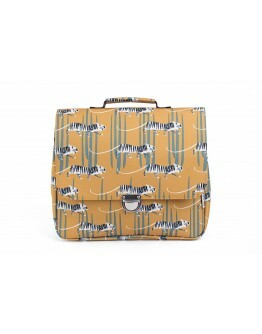 Rain-resistant canvas and made from recycled PET bottles, perfect for the environment! 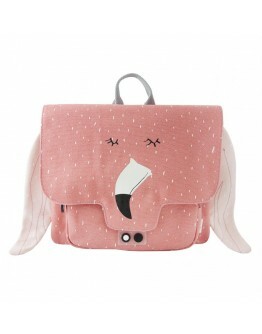 Ideal to use as schoolbag for your big student. Dimensions 37 x 28 x 9 cmMaterial recycled PET bottles .. 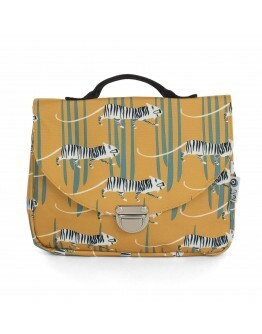 Handsome ochre schoolbag with fun tiger print.Has adjustable back belts, one large box inside and one box in front. Rain-resistant canvas and made from recycled PET bottles, perfect for the environment! 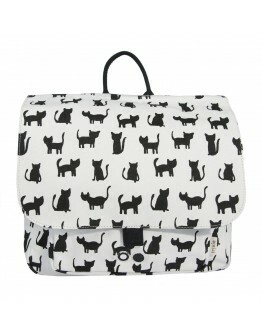 Ideal to use as schoolbag for your big student. 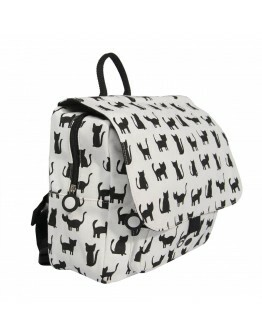 Dimensions 27 x 20 x 7 cmMaterial recycled PET bottles ..
Trixie Trixie schoolbag cats Ready for your first day of school with this cool schoolbag by Trixie?! 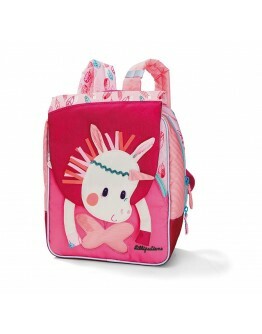 The schoolbag Trixie and also the backpack from Trixie have adjustable shoulder straps. At the top they have a strap to make it easy to hang the schoolbag for your toddler. The buckle at the height of the breast ensures that the straps won't fall down. Both models have a small pocket on the front where a name tag on the inside. Also all schoolbags and backpacks are equipped with a large zipp..
Trixie Trixie schoolbag CrabReady for your first day of school with this cool schoolbag by Trixie? 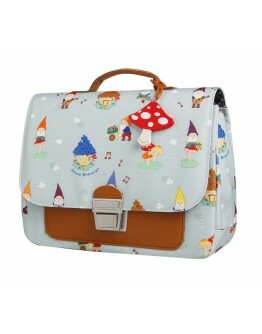 !The schoolbag Trixie and also the backpack from Trixie have adjustable shoulder straps. At the top they have a strap to make it easy to hang the schoolbag for your toddler. The buckle at the height of the breast ensures that the straps won't fall down. Both models have a small pocket on the front where a name tag on the inside. 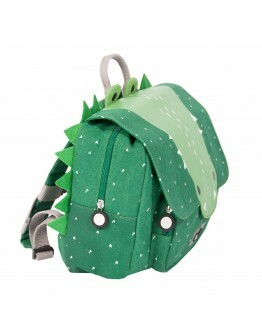 Also all schoolbags and backpacks are equipped with a large zipper s..
Trixie Trixie schoolbag Mr CrocodileReady for your first day of school with this cool schoolbag by Trixie? 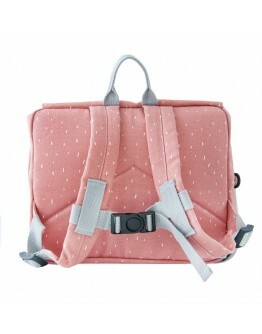 !The schoolbag Trixie and also the backpack from Trixie have adjustable shoulder straps. At the top they have a strap to make it easy to hang the schoolbag for your toddler. The buckle at the height of the breast ensures that the straps won't fall down. Both models have a small pocket on the front where a name tag on the inside. Also all schoolbags and backpacks are equipped with a large ..
Trixie Trixie schoolbag diaboloReady for your first day of school with this cool schoolbag by Trixie?! 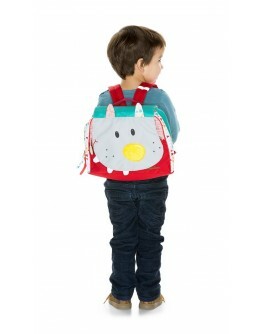 The schoolbag Trixie and also the backpack from Trixie have adjustable shoulder straps. 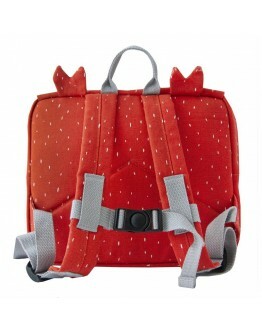 At the top they have a strap to make it easy to hang the schoolbag for your toddler. The buckle at the height of the breast ensures that the straps won't fall down. Both models have a small pocket on the front where a name tag on the inside. 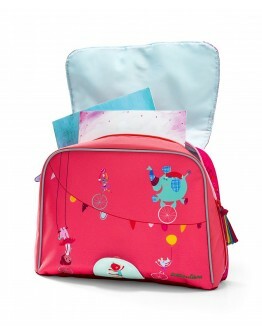 Also all schoolbags and backpacks are equipped with a large zip..
Trixie Trixie schoolbag FlamingoReady for your first day of school with this cool schoolbag by Trixie? 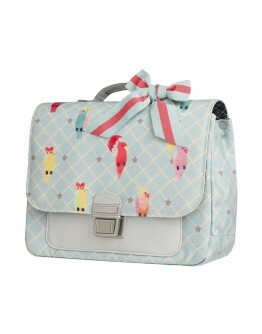 !The schoolbag Trixie and also the backpack from Trixie have adjustable shoulder straps. 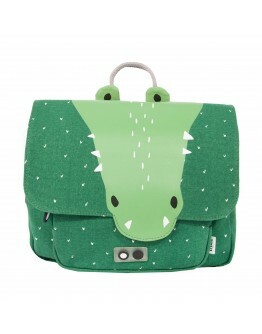 At the top they have a strap to make it easy to hang the schoolbag for your toddler. The buckle at the height of the breast ensures that the straps won't fall down. Both models have a small pocket on the front where a name tag on the inside. 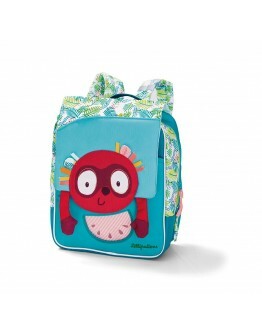 Also all schoolbags and backpacks are equipped with a large zipp..
Trixie Trixie schoolbag LionReady for your first day of school with this cool schoolbag by Trixie? 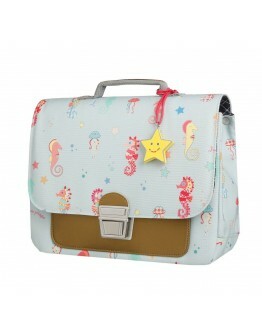 !The schoolbag Trixie and also the backpack from Trixie have adjustable shoulder straps. At the top they have a strap to make it easy to hang the schoolbag for your toddler. The buckle at the height of the breast ensures that the straps won't fall down. Both models have a small pocket on the front where a name tag on the inside. 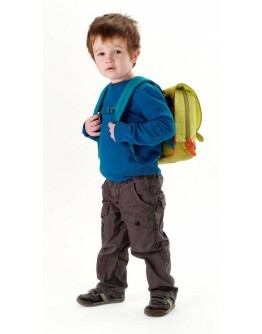 Also all schoolbags and backpacks are equipped with a large zipper s..